Updated: the application deadline extended to July 31st. 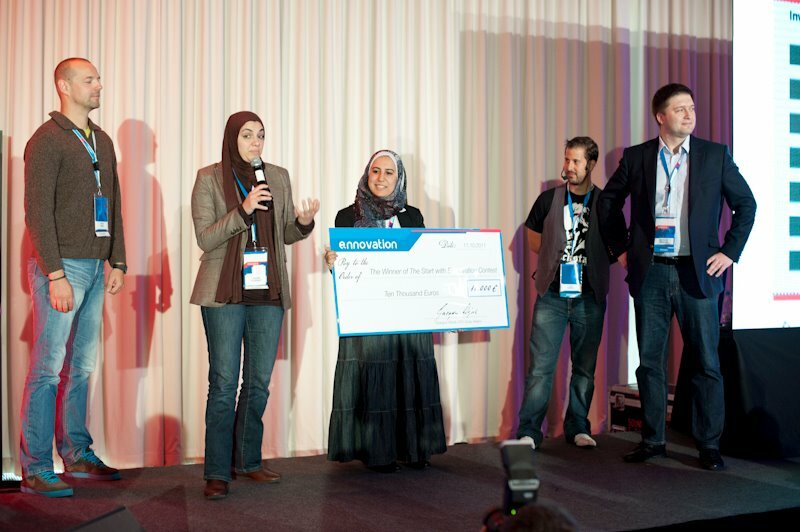 EIT Digital announces the third edition of its Europe-wide contest for startups. If you have an innovative digital product or service with customers and market traction and want to expand your business to Europe and beyond, then you should take part in the EIT Digital Challenge. Applications are open until July 31 (extended from the initial July 15), 2016 here. Established in 2014, the EIT Digital Challenge has already received more than 1,200 submissions from 27 European countries. Most of the winning startups were supported further by the EIT Digital Accelerator, which operates from 13 cities across Europe as well as from a hub in San Francisco and has supported 233 startups to date with access to new markets and raising a total of more than €67 million in investments. We have talked to Dominik Krabbe, EIT Digital Challenge Lead, and Stephan Kuehr, the founder of the German startup 3YOURMIND, a comparison tool for ordering 3D printing models for industry and architecture. His team won the third place in a previous challenge and he is well-positioned to share his impressions. GoalEurope: First of all, please tell us a little bit more about the contest. What is it about and who should apply? Dominik: If you are an innovative startup that already has a functioning product or service and customers as well as market traction, you should apply in order to maximize the potential of your business. The EIT Digital Challenge is your entry ticket into EIT Digital’s unique network of a wide range of dedicated partners across Europe that will grant you quick access to new markets and help you to scale up your startup internationally. GoalEurope: So why another startup competition? What distinguishes EIT Digital from other accelerator programs? Dominik: EIT Digital is the leading organization for innovation and entrepreneurial education in Europe and its partner network consists of more than 130 well-established corporates, SMEs, startups, universities, research institutes and investors. Our accelerator program is tailor-made for early scaleups ready to grow internationally: we provide Access to Market and Access to Finance support through a team of experienced business developers and fundraising experts, operating from major startup hubs in Europe as well as from San Francisco. This way we are able to introduce our supported startups to potential clients and investors much faster and help them soft-land their businesses in new countries. GoalEurope: Stephan, your startup 3YOURMIND won the contest. How could EIT Digital support your growth? Stephan: Firstly, we had very practical feedback on our product from the expert jury. For a software company in the 3D Printing space, this was exceptionally valuable for us. Also, we gained access to the network of EIT Digital and found partners that later would build products on our technology and API. EIT Digital helped us in growing our company to over 30 people. We were sent to events and congresses across Europe where we met our investor and several clients. Without EIT Digital it would have been much more difficult to convince DAX companies to use our products. After winning the contest in 2014, we are still benefitting from the support of EIT Digital. Startups from all EU28 countries can apply here. An expert jury will select the ten best teams per each of the five categories and invite them to final events in London, Paris, Stockholm, Helsinki or Eindhoven (EIT Digital covers travel costs for all finalists), where each startup pitches their innovative product or service to win an exclusive prize package. On top, the best team per category wins a €50,000 cash prize.